Google announced a few cool things were coming to Google Photos back at I/O, but there was no date for the rollout. Apparently today is the day. Both Suggested Sharing and Shared Libraries are rolling out to all devices, employing Google's machine learning muscle to make it easier to share photos with friends and family. Suggested Sharing will be available in the new Sharing tab, which tracks all your photo sharing activity. At the top, you get a series of sharing suggestions based on what you've shared in the past. 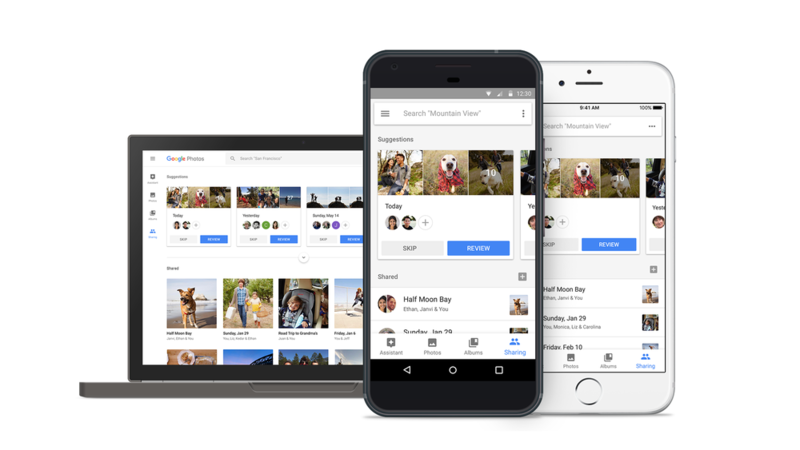 Google Photos can even identify special events like a wedding or other gathering, then suggest sharing it to certain contacts. Sharing works with SMS or email for contacts that don't have Google Photos, too. Shared Libraries take the smart suggestions a step further. You can set up a Shared Library with a contact so all the photos you take are automatically beamed over. You can share all the photos you take in this manner, or limit it to photos of certain people (based on facial recognition) or a particular date. On the other end, the person you have shared with can choose to copy all the pictures you share to their library or only certain ones. The new sharing features are rolling out to Android, iOS, and the web right now. We don't know if an app update will be required or if it'll just show up in the app. We'll keep an eye out either way.